When you are starting off, training is simple. You go the gym and do a little more weight than last time. This can go on for a long time. However, as you get more advanced, progress can come to a screeching halt. It can feel like every extra pound of muscle, the next 5lbs off the bar or losing those last few inches of fat are a life and death battle. If you want to win these battles, you have to work with your body – not against it. To do this, you need to learn how to autoregulate your training. One of the worst things a beginner can do is not have a plan. Whenever I overhear a guy at the gym say to his bro, “what do ya wanna do taday?” I know these two heroes are about to waste a training session. As an advanced lifter, you know you need to have a plan. However, you are also faced with the reality that you physiological functioning fluctuates. We all have good and bad days. For beginners who are far away from their potential, these fluctuations don’t really matter that much. On a good day things will feel a little easier and on a bad day, they will feel a little harder. No big deal. However, as you get more advanced, a good day can mean you can easily exceed what you normally would do and a bad day can mean you will be missing your lifts. The sooner you can figure out how you are doing on a particular day, the better you will be at making appropriate training decisions. Grip is a great way to assess CNS fatigue (assuming your training, sport or work is not super grip intensive). 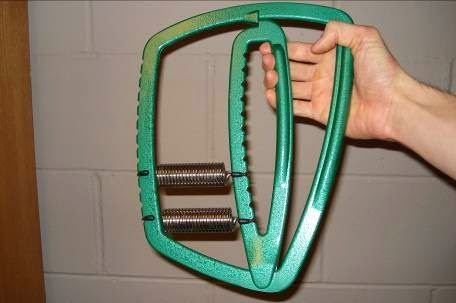 Grab a heavy duty gripper or ideally a hand dynamometer and give it a squeeze. Do this for a while so you learn what normal is for you. Then, if you are having a bad day you will notice a drop. This is the same idea as the gripper. If you don’t have access to vertical jump testing, don’t worry. Just warm up and then do a jump and see how high up a wall you can touch. Make a note of where you get to and learn what is normal for you. The wise coach Dan John has a great one here: take a pencil and paper and see how many dots you can make in 10 seconds. You can also do this on your computer which is great because it can count it for you (note: if you do this, rotate which key you use so you don’t wear one out). As with grip and vertical, your numbers will be down when you are having a good day. I learned this years ago from Charles Poliquin and this is still my personal favorite. If you know your body well, you will notice on a bad day that the warm-up reps come up slower and seem harder than usual. While the above methods will let you know at the start of your session, you can also build autoregulation into session itself. For your major lift(s) that session, Do all but the last set at a challenging level, but leave a few reps in the tank. This will also you to get a lot of quality reps in (which will improve your technique) and a decent amount of volume. Then, on your last set, do as many quality reps as you can before you would start to grind or your technique would get ugly. If you are having a great day, you will get more reps. If you are having not as great of a day, you will get less reps. Regardless of how many you get, you will have done what your body can do on that day. A classic example of this is Jim Wendler’s popular 5/3/1 program. I know my body. Every once in a while I just have an off day. I don’t need a test to know that day is not a good day for training. These days are rare, but if you have a lot of training experience and really know your body well, don’t be afraid to take the day off when know you really need it. What do you do if you are having an off day? If you are truly feeling really bad, just go home and rest or meal prep (or just get done what needs to be done earlier so you can go to bed an hour sooner than normal). If you don’t feel better the next day, take a few more days off. Occasionally a full week off of training can do wonders for your progress. What if you are having an extra good day? In doing these tests, you may also find the opposite: you are having an extra good day! What do you do about it? You could use this day as a test day to see where you are at. However, if you are an athlete or competitive lifter, you have to look to where you are at in your competitive season. Coach Dan John and Pavel point out in their book Easy Strength that this means you are peaking. If don’t want to be peaking at this time, you need to back down now so you can peak when you need to. Is it really physiological fatigue? Sometimes when you feel tired it is not really physiological fatigue. This especially true today as many people have a mentally (e.g. sitting at a computer) or psychologically (e.g. dealing with people) intense job. If I’m not sure about the day, I find it best to make a deal with myself: go to the gym, start warming up and see what happens. I have had countless times where I felt exhausted going in. However as I started into my normal routine, I just kept going as planned and had a great session. 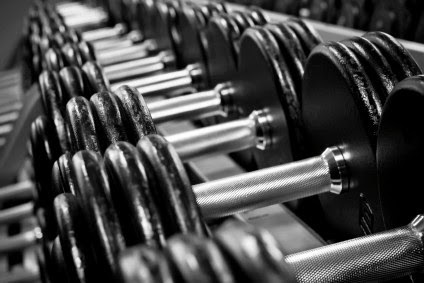 You come into your next session rested and ticked off that you had to back down and you destroy the weights! If you try to fight your body you will lose. If you use autoregulation to work with your body you will win – especially where it counts – in the long run.